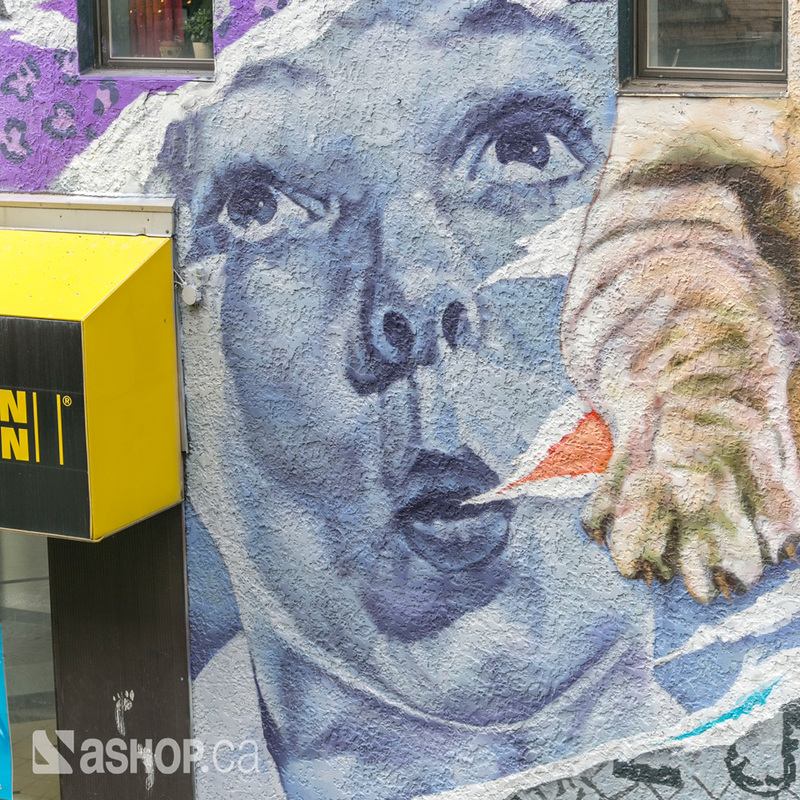 This mural, painted with the help of our partners: Innovation Youth , the City Of Montreal and Bombingscience , is located in the heart of downtown Montreal. 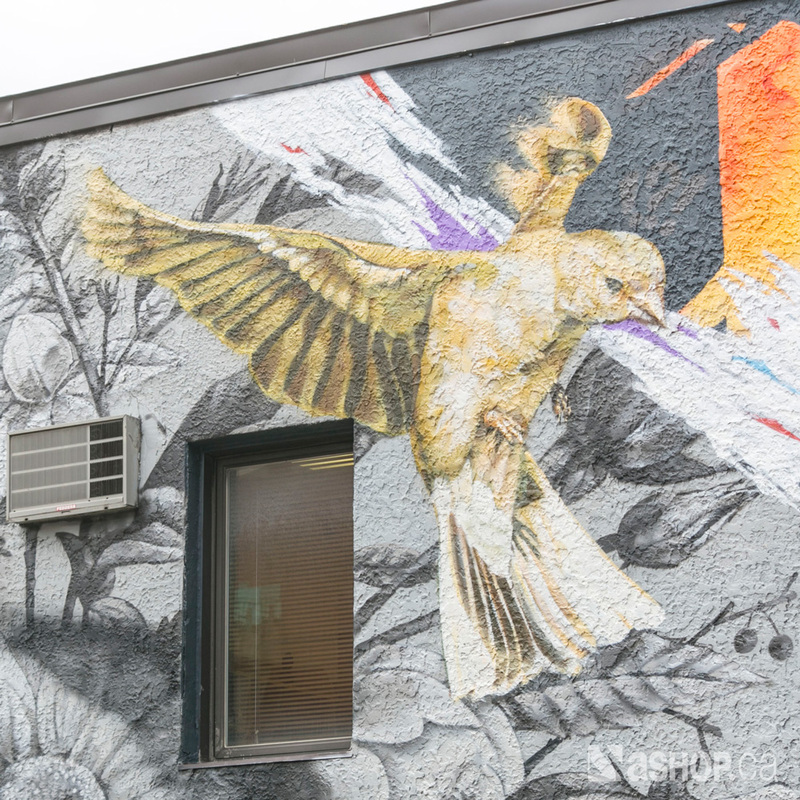 Inspired by its urban environment, it represents our favorite citizen. Lurking in graffiti and poster filled back alleys, our street cat finds adventure on every corner. Under the superficial layers of perception, a world of beauty and excitement is his hidden home.